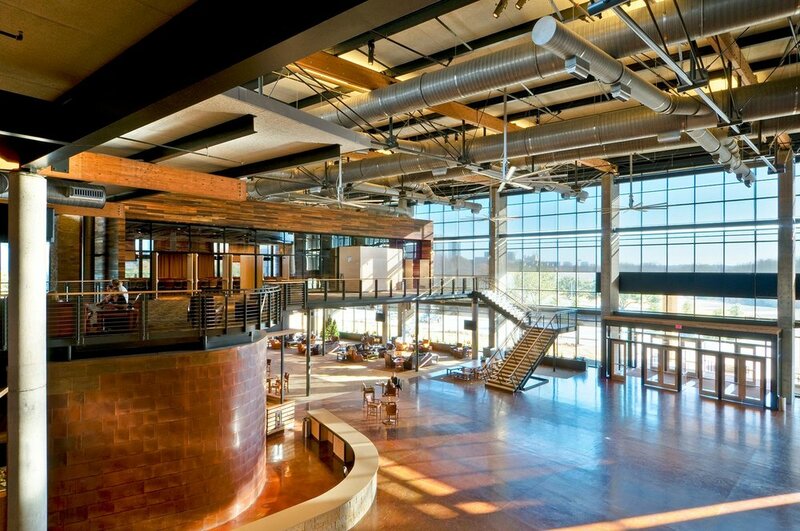 Watermark Community Church’s vision is to appeal to the “unchurched, de-churched, dead-churched and unmoved”. The successful design solution for this community was to create impactful architecture devoid of religious iconography and flexibility in use. The church sought an architectural expression which evoked the core values of authenticity, warmth and simplicity which was implemented via a rational architectural expression of transparency, raw structural and mechanical components and use of genuine natural materials. The first three phases were developed over 10 years to build without debt. The first phase included the retrofit of the existing 8-story 150,000 sf office building for administration, youth and adult ministry spaces. The second phase included new construction of an interim worship building, outdoor activity space and bridge to the existing tower. 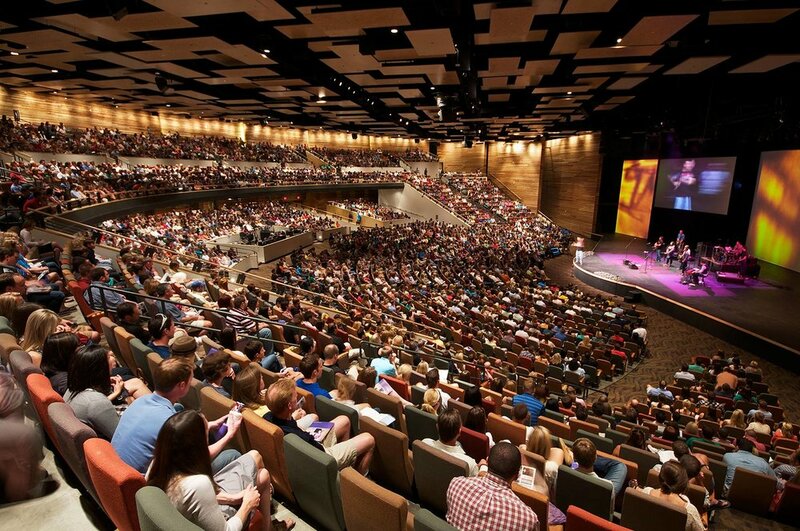 The third phase included new construction of the main 3,500 seat worship facility, a 300 seat chapel, 500 seat multi-purpose room and 120,000 sf children's ministry expansion. Sustainably designed, the 13-acre campus utilizes an existing office building and parking agreements with neighbors to reduce the number of parking spaces on site. 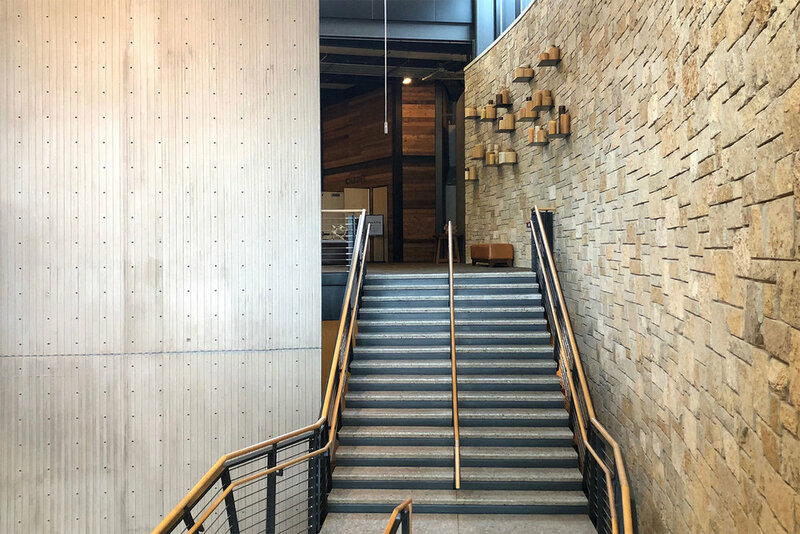 New facilities incorporate significant recycled materials, tilt-wall concrete walls, steel structure, concrete floors, sandwich ceiling panels, glulam structural beams, Low-E glass, high-efficiency mechanical systems and large overhangs. A 25,000 square foot interior town center is the heart of the dense urban campus connecting the Worship room, Multi-purpose box, Chapel, Youth Center, Coffee bar, and Outdoor activity spaces. The flexible space accommodates a variety of church functions including overflow worship seating, conferences, banquets, and children’s activities.